2016 CLUB COACH - It is with great pleasure and excitement to announce the re-appointment of Brendan Wilson as the Mornington Baseball Club's 'Senior Coach' for the 2016 DBA Winter season. Brendan, the 2013 O'Brien Medalist, will continue as Club Coach, who for the past three seasons has laid the foundations of developing a successful senior list at Mornington. We take this opportunity to again thank Brendan for his wonderful contribution to the Mornington Baseball Club and the sport of baseball. Brendan Wilson's baseball career is extensive and diverse. He brings a wealth of knowledge and expertise to the club having played Division 1, State, National and International baseball. SAD PASSING OF CLUB COACH (1980-1984) - The Mornington Pirates acknowledge the sad passing of Frank Pepper on Thursday 2nd September, 2015. We send our condolences and thoughts to the Pepper family. Frank was our Club Coach between 1980-1984 and again in 1989 after being recruited by Neil Williams & Mick McLear. He was instumental in securing the following Premierships for our club - B Grade 1980 & 1981, C Grade 1980 & 1984. 2015 DBA REPRESENTATIVES - Once again our Clubs senior & junior representation has been strong in this season’s representative squads. We had Pirates in every squad this year, Seniors, U23s, U18s, U16s, U14s & U12s. On behalf of the MPBC Management Committee and coaching staff we'd like to congratulate all the players who were selected. This Saturday 25th April, 2015 is an occasion to reflect and remember our young Pirate, Jordan Penpraze who passed away in October 2012 after being involved in a military training accident at the Holsworthy Army Base in Sydney. Sapper Jordan Penpraze, 22, we remember you. 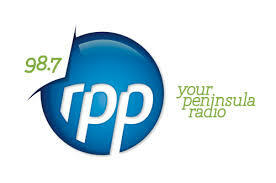 2015 RPPFM Peninsula Radio - Listen in every Friday night between 7.00pm to 8.00pm commencing April 2015. 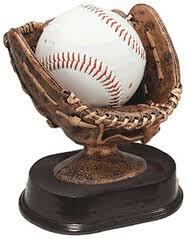 Neil Williams, Rob Bowen & our own Brendan Wilson will be talking all things BASEBALL. Contact the panel in the studio to promote our club on (03) 5975 1234. 2014 PASSING OF CLUB FOUNDER - Wally, 71, passed away on January 14, 2014 after a short illness. Wally Wedgwood helped establish the Mornington Baseball Club in 1975 providing much needed financial support serving as the very first Vice President. His funeral in Mornington on 21st January was attended by more than 600 people which is a reflection of the high esteem in which the local community held Wally and his great service to the Peninsula. On Sunday 19th May, 2013, Club Sponsors, Past Committee and Life Members attended the Presidents Lunch for a special 'Life Member' presentation for Harry Simpson and Rob Fenton. Our special VIP's were treated to a complimentary BBQ lunch and drinks inside the newly carpeted clubrooms. This was the Clubs opportunity to say thank you for the support they have shown to the Pirates baseball community since 1975. 2018 DBA SEASON - REGISTER ONLINE NOW! Senior players will be rostered at least once to umpire a junior home game. A roster will be distributed to assist players' planning. Jordan Barnett represents Victoria in Under 18 State team - National Youth Championship - Jan 2017 in Sydney. Good luck in Sydney JB. No cricket spikes - cleats only. Uniform pants for all age groups must be WHITE from 2015. If you need new pants this season then buy white ones....use your grey pants for training. New 2016 Pirate Jerseys are here....$80 seniors & $60 juniors. They look great and will replace the pin stripe vests. Congratulations to our little Under 11 Pirates who defeated Boneo 8 - 0 in the 2015 DBA Grand Final at Bonbeach today, Saturday 5th September 2015. Great game and great season for the Under 11s being undefeated for the entire season. Well done to the players, parents & coaches. Grey pants to be phased out by 2015. Uniform pants for all age groups must be WHITE come 2015 season. If you need new pants this season then buy white ones....use your grey pants for training. DBA have indicated that in 2015 all senior teams & U17 teams will only be permitted to use wood bats. So if you are in the market for a new bat buy a wood one!! Juniors Under 11, 13, 15 can continue to use tin bats. Elect the 2015 Winter Executive Committee. For more information: click here. DBA have indicated that in 2015 all senior teams & U17 teams will only be permitted to use wood bats. So if you are in the market for a new bat buy a wood one!! DBA has changed the start date for the juniors from 12th April to 26th April. Junior season now commences: Saturday 26th April, 2014. Seniors still commence on the 12th April. Senior training now commences Thursday 6th March, 2014 at 5.30pm. (not the 5th) All queries to the Club Coach Brendan Wilson 0431 364281. Junior training commences Wednesday 5th March, 2014 at 4.30pm. All queries to the Club Secretary Craig Isbister 0409 822739. We have 14 missing loan tops which has a replacement value to the club of $770. These tops were bought through club donations. Can you please check your draws & cupboards on the off chance you may have one.....thank you. Copyright © 2019 - All Rights Reserved - Mornington Baseball Club Inc.